Will Moving Companies Ship Cars With Furniture Long Distance? 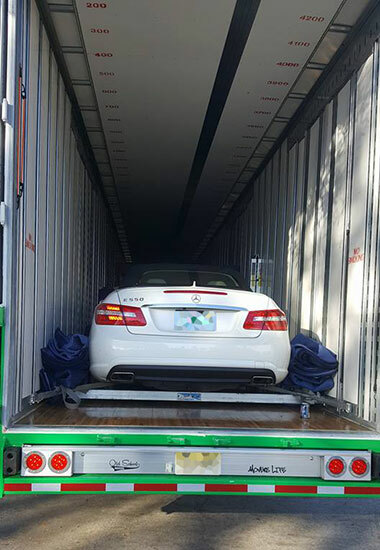 Under certain circumstances, some moving companies will ship your car and furniture together. Assuming the company has the right equipment and expertise to ship cars, whether or not they’re willing to do it comes down to 2 factors: cost and logistics. That being said, it’s almost always more expensive to ship your car and belongings together. Cars require padding and special equipment, not to mention you can’t stack stuff on top of them. Movers will use planks to try and recoup some of the space above the car, but even then we’re still talking about a lot of room wasted. Moving companies can usually make more money packing another move of home goods onto the truck rather than shipping a car. 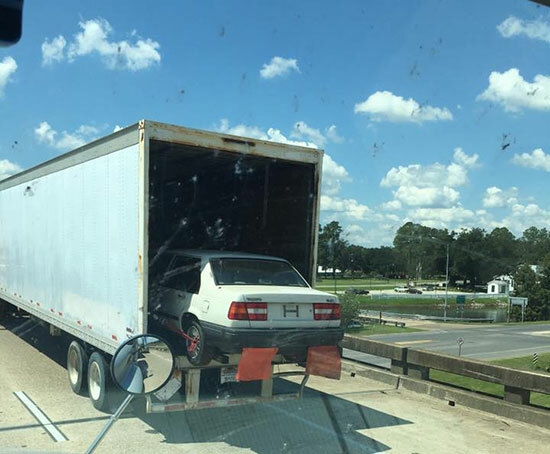 This is why in most situations movers suggest shipping your car separately. Many companies will even offer to arrange an auto carrier for you. While it’s definitely convenient to work with the same company to ship everything, be sure to ask for the name of the auto carrier the moving company works with. 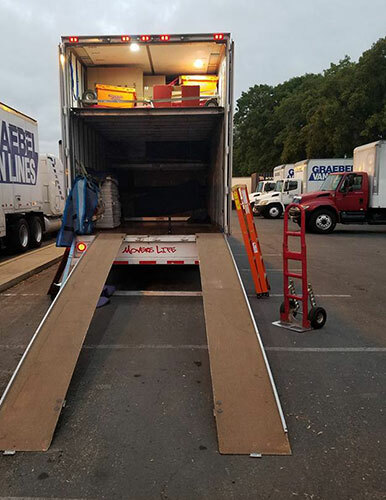 Just like finding a reputable moving company, you’ll want to make sure the auto carrier is properly licensed and has a high-quality reputation. I know, adding another company into the mix can seem less than ideal. But usually, we are talking several hundred if not thousands of dollars in savings! If you absolutely want everything to ship together and don’t want to spend the extra money, you still may be in luck. If you have a really big move, think 4 or 5 bedroom home, the moving company may already be dedicating the entire truck to your move. It’s just not worth their time to try and find another smaller load to add onto the truck. Since the space in the trailer would otherwise go unused, why not throw a car in there? In this situation, the mover will likely be cheaper than a separate auto carrier. While big moves are better. If your move is smaller, moving companies still might be willing to give you a good price on shipping your car during slower times of the year. FYI, the moving industry is very seasonal. Business slows way down in the winter months (October-April). 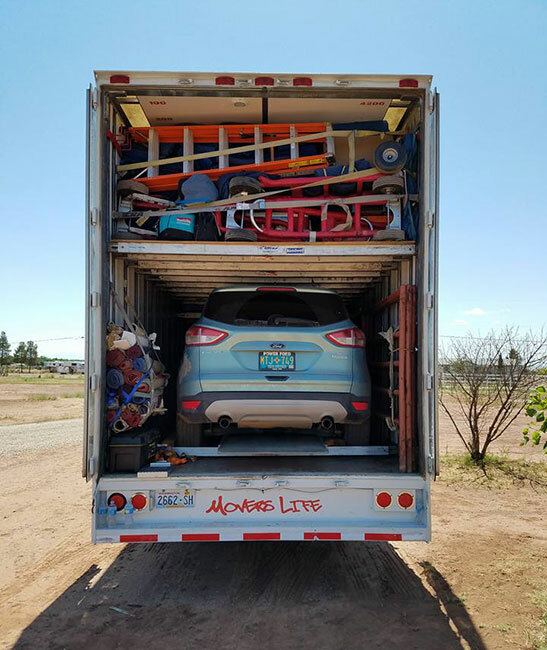 Moving companies are usually desperate to keep their trucks full during this time period, so moving cars is a good way to utilize as much of their trailer space as possible. However, once the summer months hit it’s unlikely you’ll have any chance of getting a deal. Now, for a video on how not to load a car!